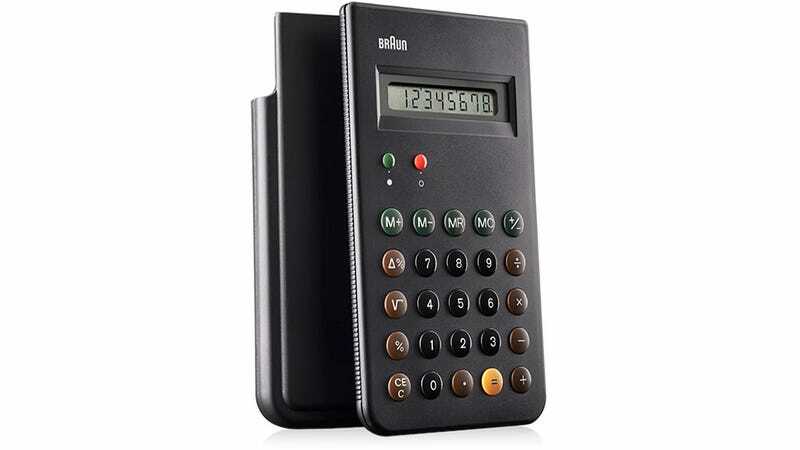 If Braun's ET66 calculator looks oddly familiar, like you've used it before, you probably have. Originally released in 1987, the ET66 shed the sliding switches of its predecessors, the ET22 released in 1976 and the ET44 released in 1978, and became an icon of product design. So much so that the iPhone's original calculator app was basically a rip-off of the ET66's design. As Steve Jobs liked to say: good artists copy, great artists steal.